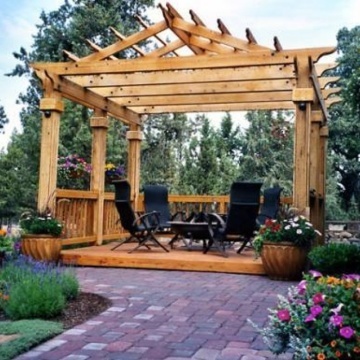 For 30 years we have provided the highest quality fence designs, deck design ideas and installation services to Oregon and Washington customers. 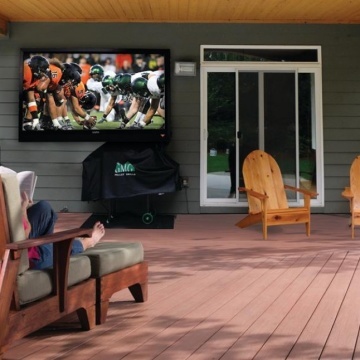 We guarantee our fence and deck design ideas will transform your yard into your ideal outdoor living space, perfect for entertaining and enjoying your outdoor living spaces. I'm likely to recommend, but i'm also likely to tell others to get several quotes. The price we paid, I feel, was high; however, the customer service has been good. I would never do an under cover deckin again. They were on time, neat and did a super custom job! I'm mostly happy with the final product. But we have had many issues with the upper deck that you installed. We paid extra for boards that were supposed to be water tight, they still leak. We had to have you guys come back to fix posts that weren't sunk into the ground and part of that was beveling the posts. I e-mailed about having the team come back out to do that and I was told it would happen. A few months later... still nothing. The stairs that were built were apparently built to end on our deck instead of having independent support in the ground, so we had to add temporary supports ourselves when we had the lower deck removed. A lot of short cuts.The pieces that fit on the ends of the board keep falling off as well. not very happy with the spaces left at the bottom of the fence. they knew the purpose of the fence was to keep a small puppy contained and in fact wanted to see the puppy before installation. Keeping to scheduled appointments and waiting for needed parts were the only negatives in our transactions. Workmanship, personell, and quality of the finished product are obvious positives. They were great! Tony, the site foreman, was amazing. He seemed to have an excellent grasp of what needed doing and the best plan of action each day. Being on the water was a separate challenge for everyone. So different than just placing product on the ground and going for it! Kris and Todd, the "worker bees", were efficient and steady on the job everyday. Thanks, Rick's, we're very pleased. 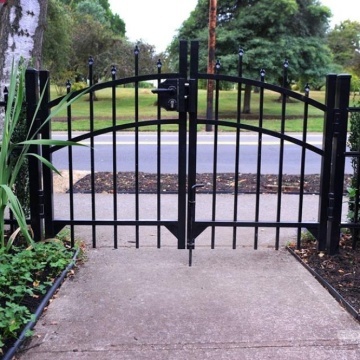 Worked with me to create a custom gate for a specialized application. Well designed and exactly what I asked for. High quality and easy to work with sales folks. We were delighted from start to finish. Ben and Ryan came to our rescue to build our deck after our first hired contractor abandoned us. 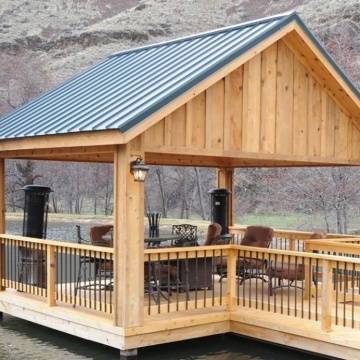 Our deck project was a huge, more complicated plan which included a covered deck that was to gable into our existing roof. Rick’s took on our project and fit us into their schedule so it could be completed before the rainy season. 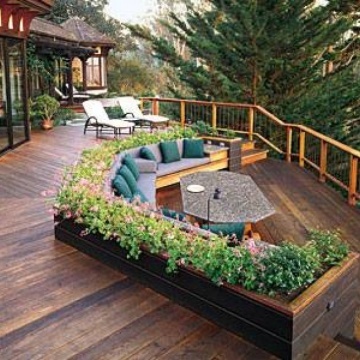 We love how the deck looks and are grateful we found out about Rick’s. They did excellent work, were trustworthy and kind. Dave and his teammate did great work. I have never been so disappointed. the quality of the material was so poor and when I mentioned it, they defended it saying they had no control over the material they receive. every bit was either chipped or cracked. they also defended it saying that happens when they put things together.. While all of the Sales, Management and employees of Rick's were very friendly, I believe the price was a bit exorbitant for what I got. That's my fault for going with the appearance of quality based on their showroom over researching their abilities. Their name implies they are great at Decking and fencing. Not patio covers. Fast and responsive. Completed high quality project ahead of schedule and at cost. I have used them several times in the past. They installed a gate for me years ago, stabilized my fence which almost blew down in a storm, then a couple years later replaced the fence for me and more recently put in a deck for me. They are always professional, on time, work steadily and efficiently and clean up after the job is done. And they guarantee their work. I really appreciated them when they stabilized my fence, in a storm a year ago, as the weather was horrific and they were so busy and they still worked me into their schedule, which saved me a lot of money at the time. And I might add that their work is flawless, and the end product is beautiful! Five Star Rating - Love love love this fence. I have lived in four homes since 2009 in Vancouver and have installed this fence and decking material in all of these dwellings. You usually get what you pay for. Quality costs a little bit more in the long run, but lasts and looks soo much better. Great job done by a high-quality crew, will likely have them back again in the future. Love the finished product, railings & fencing w/ great gates. Their verbal agreements and written agreements tend to be drastically different. Their verbal has still yet to be fulfilled, yet they justify the shortcomings by their written work scope. Upon request for materials to finish, no reply has been received to date. I will absolutely recommend your company. Excellent product and professional outfit.